Investor Tim Draper, managing director of VC firm Draper Fisher Jurvetson and the winning bidder in the 27th June auction of roughly 30,000 BTC conducted by the US Marshals Service, held a press conference today where he provided new details about his plans in the bitcoin space. The press conference included introductory remarks from Tim Draper, before opening up to a question-and-answer session led by the investor’s son and fellow VC investor Adam Draper and including Vaurum CEO Avish Bhama. Speaking to gathered reporters, Draper painted a picture of how bitcoin is uniting a diverse range of innovators around the world, all of whom are seeking to unlock the broader financial innovations that can be achieved through its applications. Draper revealed only sparse details about his interactions with the USMS, stating that despite requests for the government to send the bitcoins in two transactions – one to confirm the wallet address and another to complete the transaction – it was insistent that all 29,656 bitcoins be sent in one exchange. 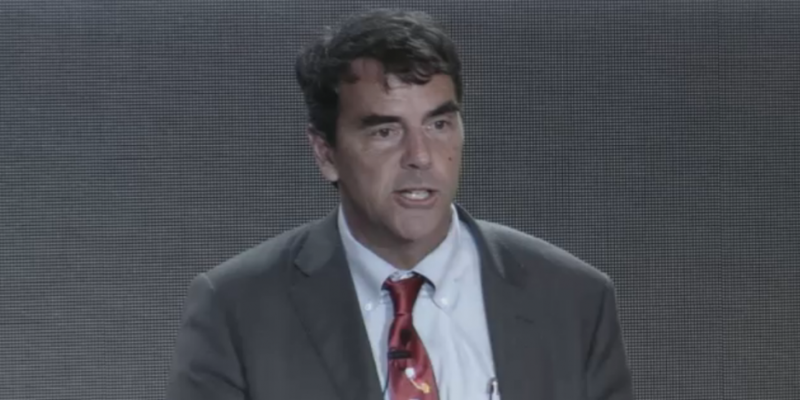 Tim Draper used the format to list a number of bitcoin projects he feels are working to secure a new vision for the global economy, including Mexico’s Coincove, Korea’s Korbit and Argentina’s BitPagos. Addressing the audience during a question-and-answer session, Bhama called the idea that bitcoin is volatile a US construct, a sentiment with which Draper agreed. “We really think that this is a big opportunity and clearly there is a lot of interest all over the world for people to look and see a new kind of currency, something that is not tied to political nations that are out there,” Draper said. The comments come in the face of criticism from global regulators, who have warned consumers about the risk posed by bitcoin and its price fluctuations. Tim Draper is an investor in BitPagos and Korbit, while Adam Draper’s Boost VC invested in Coincove. Draper also sought to highlight bitcoin’s potential as an investment opportunity, encouraging those listening to get involved in the ecosystem and thanking original inventor Satoshi Nakamoto for what he called an “amazing trading system”. The event was held at 55 E 3rd Avenue in San Mateo, California, and was also broadcasted on the web via Livestream. The conversation built off of the original announcement issued through Medium and authored by Bhama, with whom Draper will work to improve bitcoin’s liquidity in developing markets. The news followed yesterday’s announcement by the USMS that one unnamed bidder had won all 10 auction blocks on Friday. Draper first began his public support for bitcoin last year following the announcement that his Silicon Valley university, Draper University of Heroes, would accept bitcoin. Draper has since backed bitcoin startup Vaurum, with whom he is partnering to provide a use for the coins. A third-generation venture capitalist, Tim Draper’s son Adam Draper has pledged to fund 100 startups focused on the bitcoin industry over the next three years. For more on Adam Draper, his firm Boost VC and its work in the industry, read our full profile.